Wood has been a popular building material since humans began building. Today, it remains one of the most widely used building materials—from ordinary lumber and light-frame residential construction to highly engineered, advanced products suitable for almost every building type. The range of projects using wood continues to widen, including high-rises and many other innovative structures, and interiors where wood is chosen as much for its beauty and appeal to the senses as for its high performance. But the environmental value of wood goes far beyond the individual building. Forests improve the environment on a planetary scale. Trees renew the air supply by producing oxygen and improve air quality by absorbing ground-level ozone, carbon monoxide, and sulfur dioxide. In a year, a single tree can produce 260 pounds of oxygen and absorb 10 pounds of air pollutants, including ozone and particulates.3 At the same time, trees absorb and store carbon dioxide from the atmosphere as they grow, and incorporate absorbed carbon into the forest products that are produced from a tree. Through sequestration of carbon and offsetting fossil energy that would otherwise be required, just one tree can clean 330 pounds of carbon dioxide from the atmosphere every year.4 All of this helps lower the construction sector’s significant contribution to global climate change. Forests also improve water quality by acting as natural filtration and storage systems. The ability of forest vegetation and soils to absorb and filter water also increases groundwater, as clean water trickles down to feed aquifers, and reduces runoff during rainstorms. Forests additionally provide habitat for both rare and common species, thus fulfilling an important role in stewardship of the environment. Forests create recreational opportunities, and provide aesthetic values that improve quality of life for millions of people. In order for the source of wood products to remain renewable and for forests to provide their multiple benefits, forests must be healthy and thriving. Globally, that health is threatened by many factors, both naturally occurring and those resulting from human activities. Forest health and vitality can be threatened by climate change, invasive pests and pathogens, the severity of wildfires, illegal logging, and global deforestation. Trade in illegal forest products in the United States is prohibited by the Lacey Act and other laws (see www.forestlegality.org), and is closely monitored under credible forest certification programs that disallow the inclusion of illegally sourced materials. Architects, builders, and building operators have a responsibility to ensure they are using legal forest products. Forest certification, in addition to offering a proof point to address these environmental problems, provides the added benefits of ensuring the promotion of the full range of values emanating from a responsibly managed forest, such as biodiversity, carbon storage, and water quality. LEED has taken an important step in strengthening the framework for decision making about wood products by widening the scope of accepted certification schemes through the ACP pilot. The new LEED ACP offers greater access to responsibly sourced forest products and reinforces the value of certified forests, responsible sourcing, and chain-of-custody (CoC) for forest products. Image courtesy of SFI Inc.
What is the New ACP? MRpc102 Legal Wood is a new ACP for forest products to achieve points in the Materials and Resources credit. 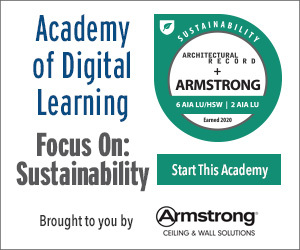 The ACP applies to all LEED v4 and LEED 2009 systems where forest certification is referenced. This includes Building Design and Construction (BD+C), Interior Design and Construction (ID+C), Existing Building: Operations and Maintenance (O+M), and Homes (H) v4. All of the relevant credits are shown in Figure 1. 70 percent of the products are from responsible sources. Once these two thresholds are met, the certified sources delivered through chain-of-custody certification can be used to obtain a point. ASTM D7612-10 (2015): Standard Practice for Categorizing Wood and Wood-Based Products defines a framework for identifying and distinguishing among legal, non-controversial, responsible, and certified sources. The distinctions are important. Only 10 percent of the world’s forests are certified, which represents about 25 percent of the global roundwood production, but this does not mean that 90 percent of the remaining forests are illegal or even that they are irresponsibly managed. However, identifying and supporting the increase of responsible and certified sources is the only way to verify that forest products are not only legal, but are from forests that are managed and overseen in a way that keeps them healthy and sustainable. Later in this course, a step-by-step approach to qualifying for the new ACP pilot will be discussed in more detail. But the major direct route now opened for architects is through standards developed by certified third-party sources identified in ASTM D7612-10 (2015), as shown in Figure 2. Among these recognized standards is the Sustainable Forestry Initiative Inc. (SFI) program. SFI Inc. is an independent, nonprofit organization that is solely responsible for maintaining, overseeing, and improving the internationally-recognized SFI program. SFI works at the intersection of sustainable forests, thriving communities, and responsible procurement. SFI is governed by a three-chamber board of directors representing environmental, social, and economic sectors equally. SFI Program Participants are responsible for more than one quarter of the global supply of certified forests. SFI maintains and publishes a list of all companies that have received SFI certifications, including which certification, where to look for the label (e.g., on tags, stamps, wraps, inserts, etc. ), and what types of products are certified (e.g., lumber, plywood, oriented strand board [OSB], specialty engineered products, paper products, etc.). Wood and paper products from these program participants meet one of three SFI standards, which in turn meet the requirements set out in the new LEED ACP pilot. All three of these standards require independent audits by competent and accredited certification bodies. 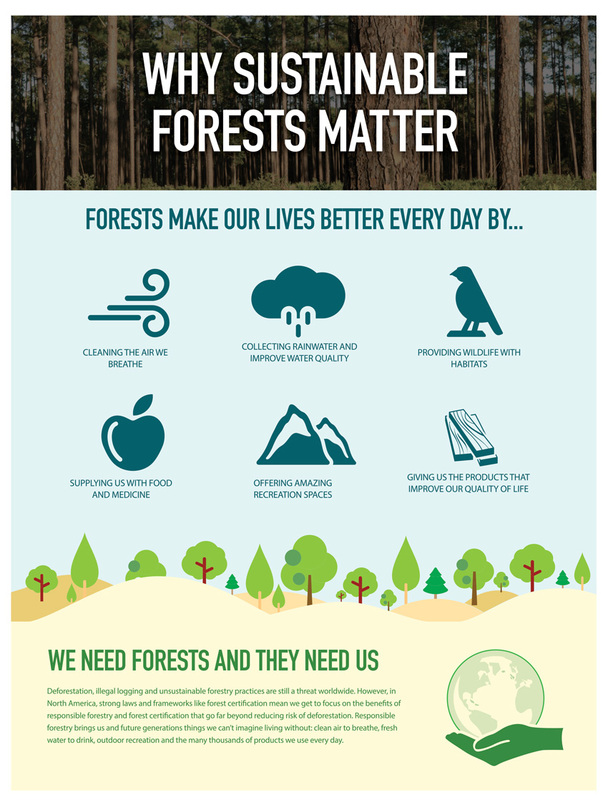 SFI 2015–2019 Forest Management Standard, for managing forestlands, promotes sustainable forestry practices, including measures to protect water quality, biodiversity, wildlife habitat, species at risk, and forests with exceptional conservation value. SFI 2015-2019 Fiber Sourcing Standard, for responsibly procuring fiber, distinguishes SFI from all other forest certification programs because it sets mandatory practice requirements for the responsible procurement of all fiber sourced directly from the forest, whether the forest is certified or not. This standard is for manufacturers that do not own forestland but procure fiber directly from the forest. These fiber-sourcing requirements include measures to broaden the practice of biodiversity, use forestry best management practices to protect water quality, provide outreach to landowners, and utilize the services of forest management and harvesting professionals. SFI 2015-2019 Chain of Custody Standard, for tracking forest fiber content, is an accounting system that tracks forest fiber content (certified forest content, certified sourcing, and recycled content) through production and manufacturing to the end product. 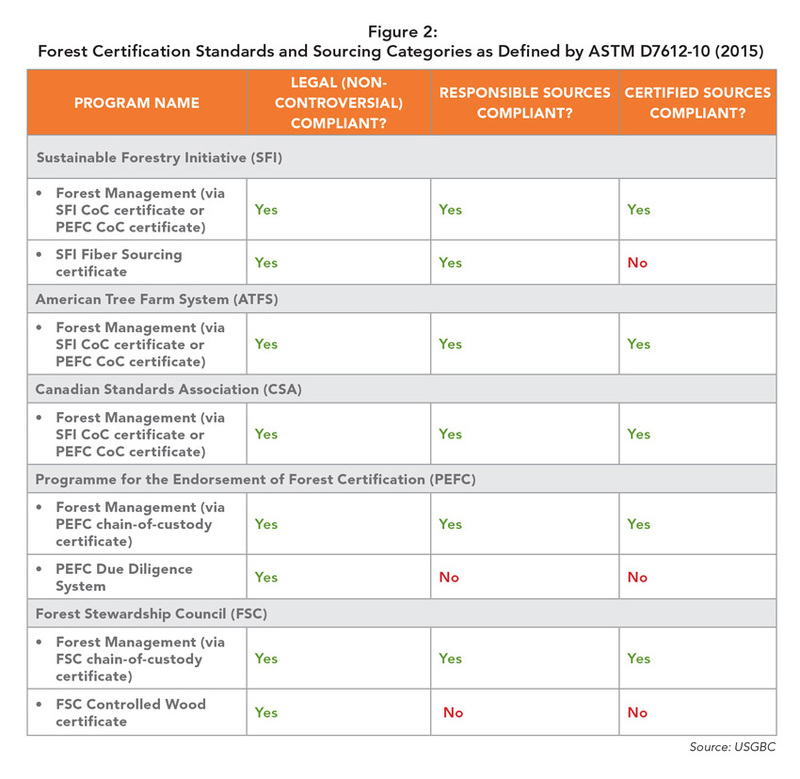 Companies can use chain-of-custody certification to track and communicate forest fiber content using one of three optional approaches: physical separation, average percentage, and the volume credit method. In relation to the new ACP, forest products certified to the SFI Fiber Sourcing Standard count as legal and responsible, while forest products delivered through the SFI Chain of Custody certificate count as legal, responsible, and certified sources.